Thinking back over 2009, I played a fair number of new boardgames. These are my top 3. None of these games were actually published in 2009, but I was introduced to all of them last year. Pandemic is the most original and interesting game I’ve played since being introduced to the board game revival a few years ago. In short: it’s a fully co-op game where you work as a team to rid the world of viruses. You play with a team, each player has certain special skills. With 3 ways to lose and only 1 way to win the game is also really, really challenging…in a good way. The gameplay mechanic is such that you’re essentially racing against the clock, in a losing battle against global pandemic on multiple fronts. Also because it’s a fully co-operative game, players often in a situation where they need to coordinate moves and ability. I’ve found that the main opponent is often the players egos. We’re so used to competing against others for a solo victory that actually co-operating and managing resources amongst each other is the most challenging element. The game is technically set up for 2 – 4 players. I’d recommend a full 4, the smaller games are essentially scaled down from the 4 player game. 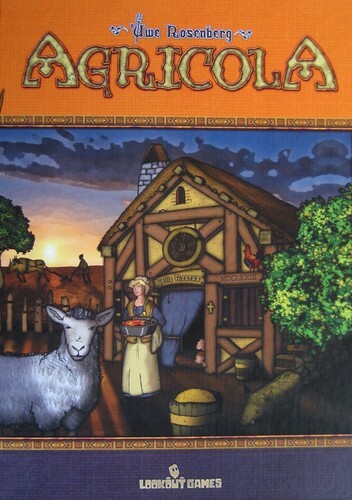 Agricola is a farming, resource collecting game. It is well balanced, complex and loads of fun. The starting conditions of the game are so variable that I have yet to come up with a general strategy for Agricola. 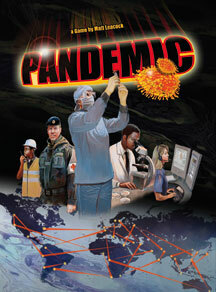 It’s been the #1 game on BoardGameGeek for quite some time, the only reason I’m ranking it lower than Pandemic is simply because I think pandemic is a more unique game. The game is playable with 1 – 5 players. Agricola is a little different than most games, you have an almost completely different set of starting conditions and a different deck of available cards depending on the number of players. This lends to it’s extreme re-playability. Published in 2002, this game certainly isn’t new and it’s not actually a board game. Bang! 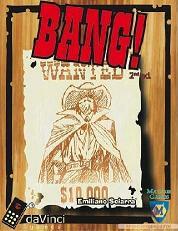 is a wild west theme card game. Each player has a hidden role card (except for the sheriff) and different win conditions based on their role, this guess and bluff gameplay element makes it a great party game. Additionally, players are dealt character cards with unique abilities and hit points. I don’t think the game is as well balanced as it could be, it’s quite hard for the sheriff to win and extremely hard for the outlaws to lose. But the game is quick, lasting about 15 – 30 minutes, so you can easily play 3 or 4 games in a sitting. If you think of each game as a “round,” the fact that players change roles each game lends to great fun overall. 4 – 7 Players. I recommend at least 5. PS. It’s translated from Italian, some of the rules a nonsense. Read the FAQ. Most Over-rated Game of 2009: Powergrid, currently #3 on BGG. The mental math is extremely difficult and really takes away from the game experience. It’s also unclear what steps need to be taken in order to win, the win condition is not concrete enough. The art is nice though. Most Anticipated Game of 2009: Battlestar Galatica. Seems fun. That is all.